In this episode, we chat with former wide receiver Chafie Fields. Some of you may remember this play. I call it "THE PLAY". It is Chafie Fields catching a late game-winning touchdown to beat Miami. 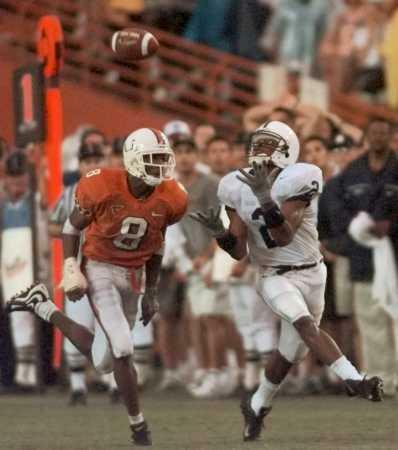 Kevin Thompson threw the 79-yard touchdown pass to Chafie Fields with 1:41 left back in the 1999 game at the Orange Bowl.